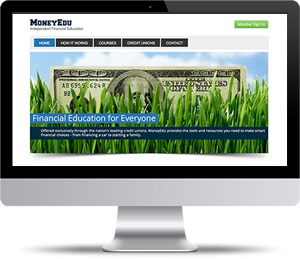 Since 2003, Decision Partners has pioneered the field of online financial literacy education. From creating the nation's first online financial literacy course to integrating the very latest behavioral economics research into our online education platform, our goal is to offer every individual the financial decision-making skills he or she needs to successfully navigate life in the 21st century. Whether you manage a university, credit union, or community nonprofit, you can trust our technology to provide a tailored financial education solution that offers measurable results. Our fully managed, cloud-based service allows you to customize your program to the needs of your organization while seamlessly handling the delivery, maintenance, and reporting of your project. None of our programs require ongoing IT support and we handle all end-user technical support seven days per week. Hosted on the same platform as Netflix and Amazon.com, we offer industry-leading scalability and reliability - whether you want to educate a few hundred borrowers or a few hundred thousand students, we can scale to accommodate your needs. We also use industry-standard SSL encryption for the most secure experience available. And best of all, beyond a nominal annual fee, you pay only for what you use - there are no long-term contracts or minimum account numbers required. If you want to bring the program to thousands of people per year, we're only paid when you're successful in promoting your program. If you need to manage costs, you're also in total control of your registrations - the ability of new members to register for any of your programs can be turned on and off as needed. We provide over a dozen course templates that can be customized in just a few clicks. From creating multi-year education programs to mapping our online resources to an existing "in the classroom" or seminar program, you're always in total control. For organizations with the need to educate individuals on proprietary material, we provide the option for you to add your own content to our platform - complete with quiz questions and fact sheets. Your content then becomes a "module" available for assignment in any of your courses. In fact, you can even use our platform to publish courses with 100% original content - great for HR programs, business-specific employee education, and honor code/policy training. As opposed to one-size-fits-all resources, Decision Partners allows end-users to customize their learning environment. With a private log in and password, users can track their course progress, save the results of their calculators, take notes, create checklists, and bookmark favorite content. Their resources are then available from any computer with an Internet connection. And with industry-standard SSL security, they can be confident that their information is safe and secure. Our personalized platform also helps organizations track both aggregate and individual user success - including courses completed, grades, and even missed quiz questions. User privacy is also fully protected and no budget data, financial goals, or personalized feedback is shared with program administrators unless 1) your organization enables content sharing and 2) the member chooses to "opt-in" to sharing content. If personalized financial coaching is offered by your organization, enable our one-to-one content sharing, communication, and contact management tools for highly efficient in-person or remote sessions. Learners complete surveys, assignments, and assessments prior to the coaching sessions and share results with the coach, jump-starting the coaching process. All communication over our system is logged and secure. To learn more about leveraging our technology for your organization, please contact us.